Access iTunes and PhotoStream via iCloud. New user interface (but not yet “iOS style” display). Access to third party applications is made easier. 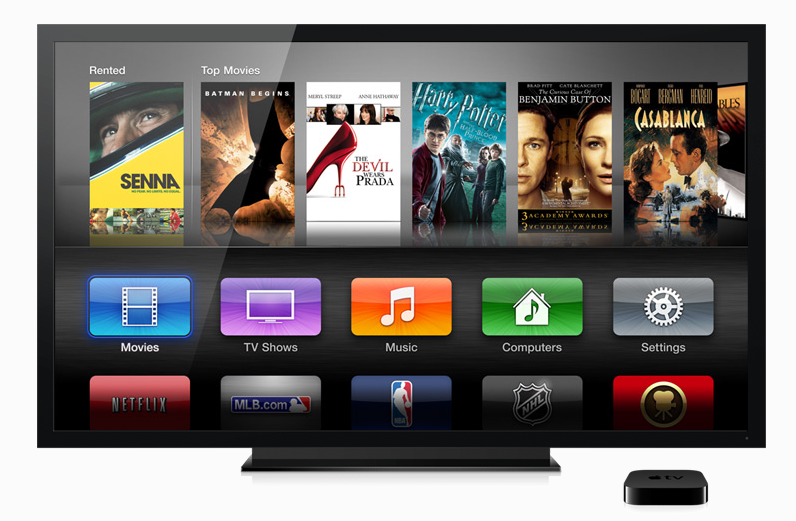 “That’s the new Apple TV and we think you’re going to love it.” ended Eddy Cue. It will be available on March 16th for $99 and pre-order starts now. 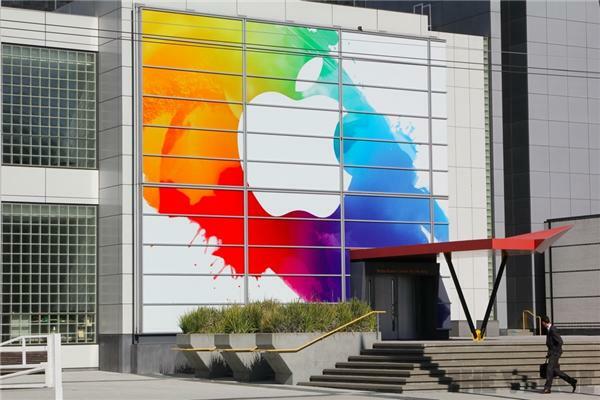 Retina Display: 2048 x 1536 display with 3.1 million pixels. “The most ever in a mobile device.” said Phil Schiller who also stated that “Until you see it you can’t understand how amazing it is.”. Supported by an A5X processor meaning quad-core graphics! iSight Camera: 5-megapixel backside illuminated sensor on the back, 5-element lens, IR filter, and ISP built into the A5X chip. 1080p video recording: HD filming with a stabilization software which seems to bring important improvements to footage according to people who watched the demo at the conference. Voice Dictation: Same as the one available on iPhone but, to the deception of a lot of fans, Siri is not available on this new device yet. 4G LTE: This is the latest mobile internet connection which is about 10 times faster than 3G. In the US, it will be available on contract with Verizon, Rogers, Bell, Telus and AT&T will be the LTE parnters but, there are various bands of LTE, meaning that you will need different devices for different mobile providers. On the other side, 3G is now world-ready so it now works with any provider anywhere in the world: “Whichever one you pick you can roam anywhere around the world.”. Battery Life: It’s still the same battery life as the one on iPad 2 meaning 10 hours but it supports 9 hours on 4G LTE while the old one supported 9 hours for 3G. Price: $499 for 16GB, $599 for 32GB and $699 for 64GB (WiFi) / $629 for 16GB, $729 for 32GB and $829 for 64GB (WiFi + 4G). It will be available on March 16th and pre order starts now. Updated Guitar Band and iMovie iPad apps and introducing iPhoto on iPad. Once again, Apple didn’t introduce completely new version of products but released improved versions of existing products as they did with the iPhone 4S. Personally, I think it’s not bad because we should be realistic: Apple release new versions of products every year so we can’t always expect revolutionary changes. What do you think? Are you disappointed? Were you expecting something else? I don’t really think that the new added features are worth the upgrade. 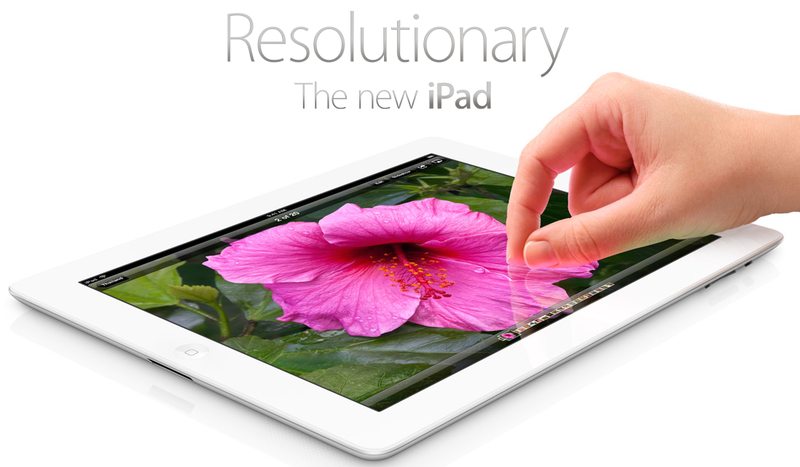 The iPad 2 is still fast enough, has an amazing battery life, features great graphics, is lighter and slimmer. I’ve been using it for a few month now, i have like 250 apps installed and it still works perfectly. JP if you were living in a country where you had access to 4G LTE and would watch movies in live streaming it would be completely different. First, because of the internet speed (10 times faster than 3G) and second because of image quality and as Phil Schiller said “Until you see it you can’t understand how amazing it is.”. You may say that he is exaggerating and you may not be wrong but at least you should admit that physically trying it is completely different! thank you JR for he summarizing!!!! I agree with JP! It was not worth the upgrade! The iPad 2’s battery life is enough, it’s already lighter and slimmer than the 1st iPad and it’s the perfect size. Sure the camera maybe was a problem, and that might be the only good thing!! Dalia, as I said in my reply to JP, the fact that you don’t have access to 4G LTE in the country you live in it would have been a great improvement for you in terms of internet spees and image quality (Retina Display). Concerning the camera indeed it’s an improvement but comparing to iPhone 4S it’s a bit disapointing (I’m going to add this in the post). In my case, I don’t have any iPad and I feel like finally buying one. I have the opportunity of buying the iPad 2 64GB for 400$ (used one in really good condition) or buy the new one 16GB for 580 (including taxes). I went to the apple store to compare them. I have to admit that the only big significant difference between them is that quality of the screen. You can’t even see the pixels of the screen, flawless quality… But other than that, I think that the iPad 2 works perfectly fine with its existing features. Previous Post You Have The Chance To Win a $10,000 App Store Gift Card From Apple! Next Post Help Me Win The Crest Facebook Competition!